Sat 19th : A Night at the Castle - Live! Fri 25th - Sat 26th : Walking Tours. Guided walk around the new Maybole Heritage Trail. Starts at the Greenside. 25th for Schools at 10.00am. 26th open to everyone at 10.00am. 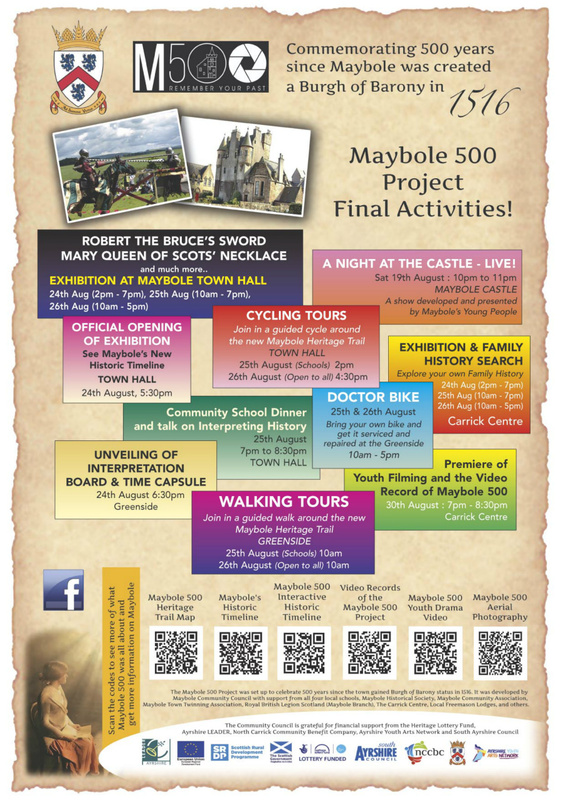 More info at the Maybole 500 Facebook page here. An arts group, “Carrick Rural Arts Group (CRAG)”, are responsible for helping create these wonderful lanterns. This is the same group that has organized the Girvan lantern parades over the last 12 years or so, so they have plenty of experience. 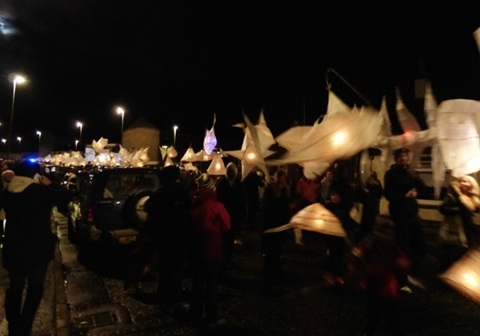 CRAG have asked whether any of our members would like to get involved in lantern building for the parade on March 25th, so if you are feeling creative here’s your chance to build your own. Though people tend to think this is an activity for children, some of the lantern designs can be quite challenging to build so there’s plenty of opportunities for adults to get involved. There will be a series of workshops taking place on forthcoming Saturdays where you will be able to take part. If you are interested you can either contact CRAG directly by phoning 01465 715621, or contact MOF’s through the Contact page (click here) to register your interest and we will pass your details on to CRAG.